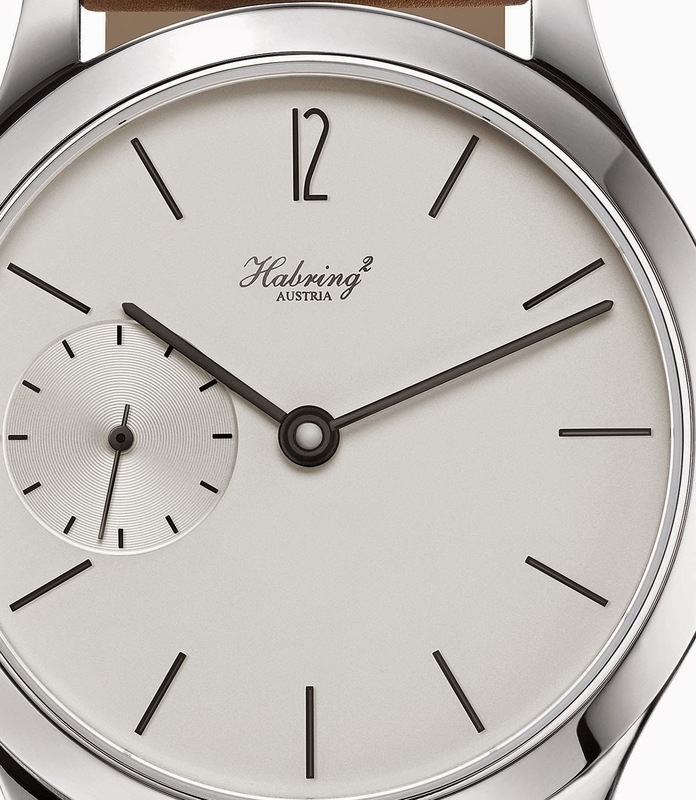 Maria and Richard Habring launched their Habring² brand in 2004. To celebrate 10 years of activity they presented Felix, an anniversary model which is powered by the hand-wound A11 (A for Austria and 11 for 2011 when development started), the first movement developed completely in Austria, where it is also largely manufactured and assembled. This is an important achievement for a small independent and family-run company that was possible thanks to the collaboration of Habring² with a few other small partner companies in Austria, Switzerland and Germany. 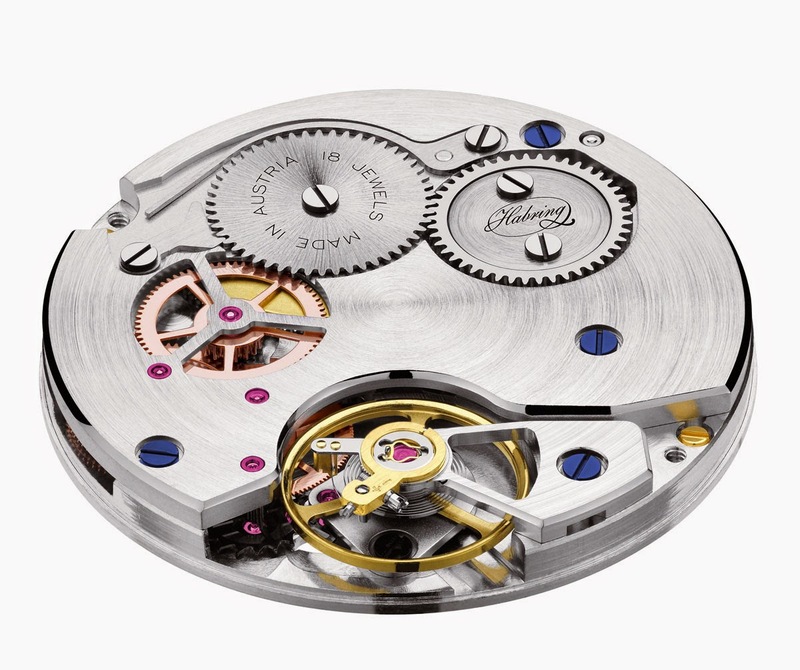 The A11 will progressively replace the wheelwork of the Valjoux/ETA 7750/7760, previously used by Habrings in all of their watches, with a few variants: A11D ("Time-Date"), A11S (jumping second) and A11SD (jumping second with date). Beating at 28.800 vibrations per hour (4Hz) and offering 48 hours of power reserve, the A11 features a tangential screw for fine adjustment and an anti-magnetic escapement with a Carl Haas hairspring offering chronometer quality. Habring² becomes this way a pure manufacture where even components are individually manufactured. In fact, at Habring² anchors and wheel/pinion combinations are assembled by hand and the hairsprings are counted and curved by hand. 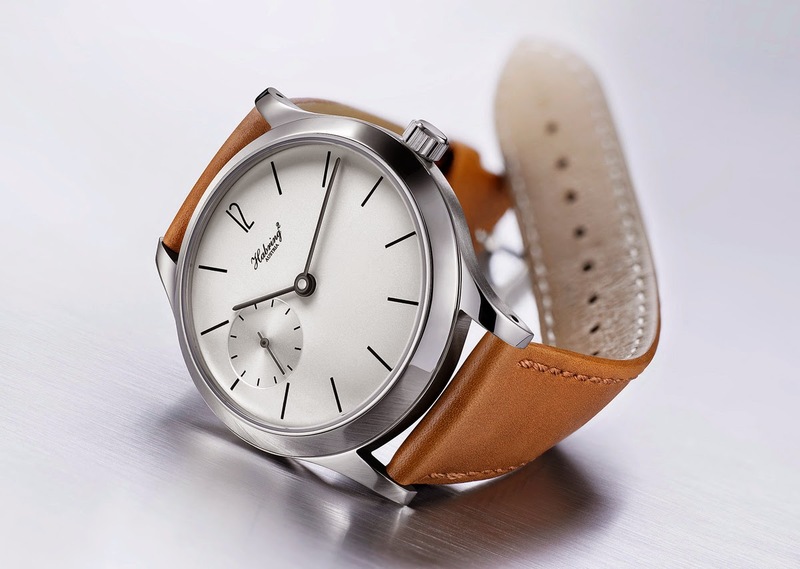 The new Felix has a purely minimalist stainless steel case with a diameter of 38.5 mm and a case height of only 7 mm making it very comfortable on the wrist. Waterproof to the depth of 30 metres, the Felix has a double-sealed crown, with a sapphire crystal caseback to showcase the movement. 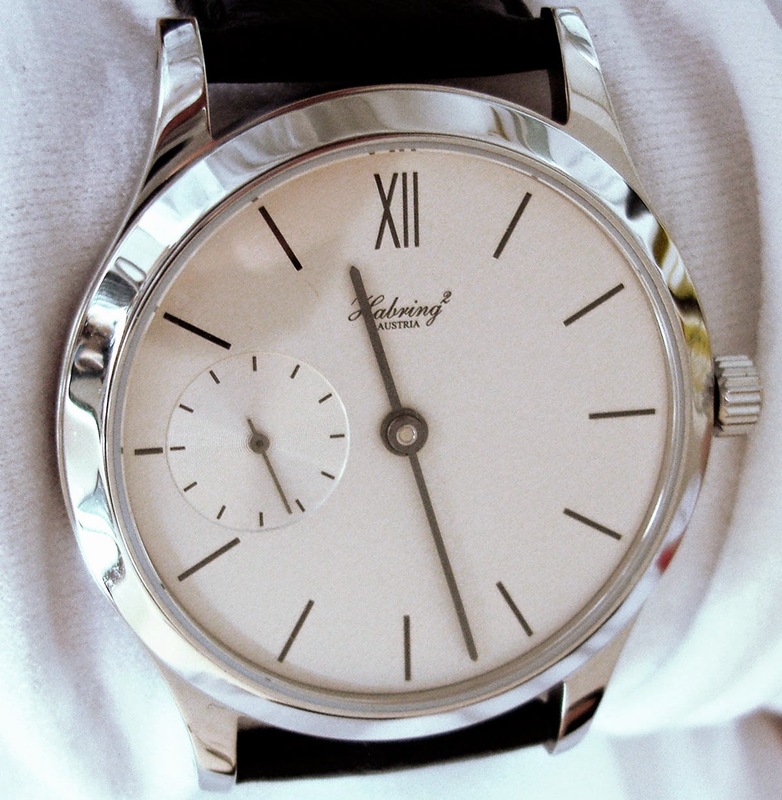 The fine-grained, silver-white dial features black-oxidised thread hands with a large Arabian (or Roman on request) "12" and batons to mark the hours. It is possible to have the Felix with or without the small seconds sub-dial at 9 o'clock. 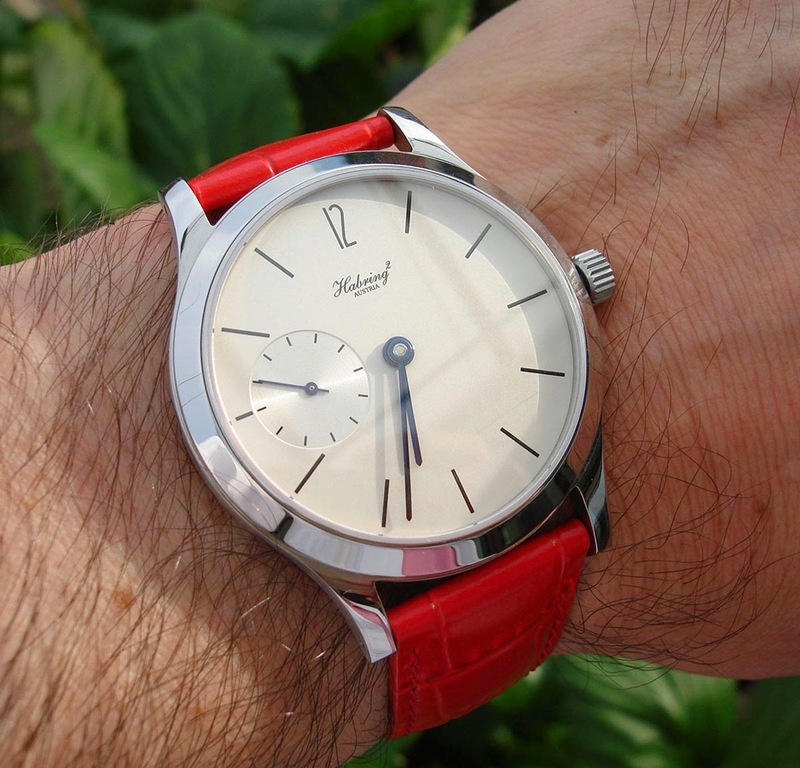 While the production of all components in small series might bring some price rise to Habring² watches, their price performance remains outstanding. 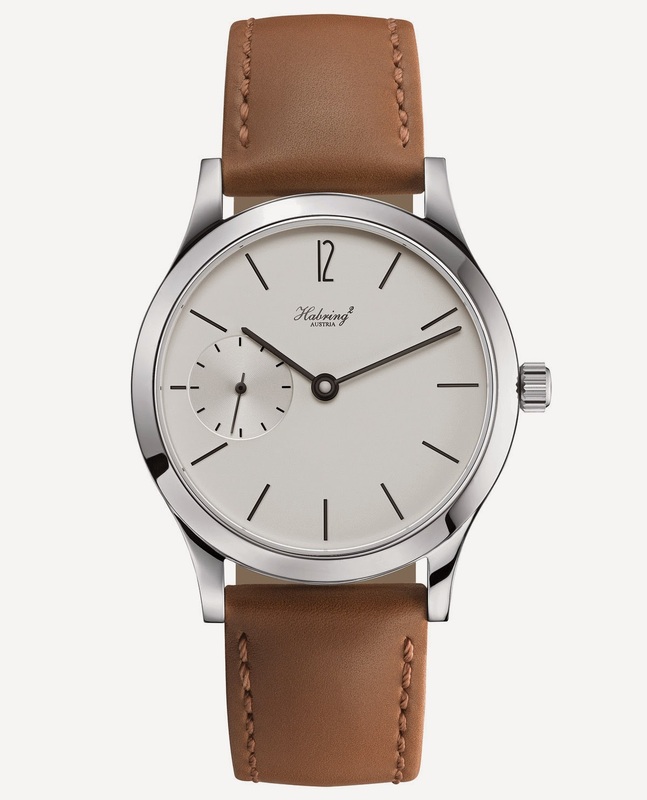 The Habring² Felix has a retail price of Euro 4,450. Habring2 Felix. Habring Felix. Maria & Richard Habring launched their Habring² brand in 2004. 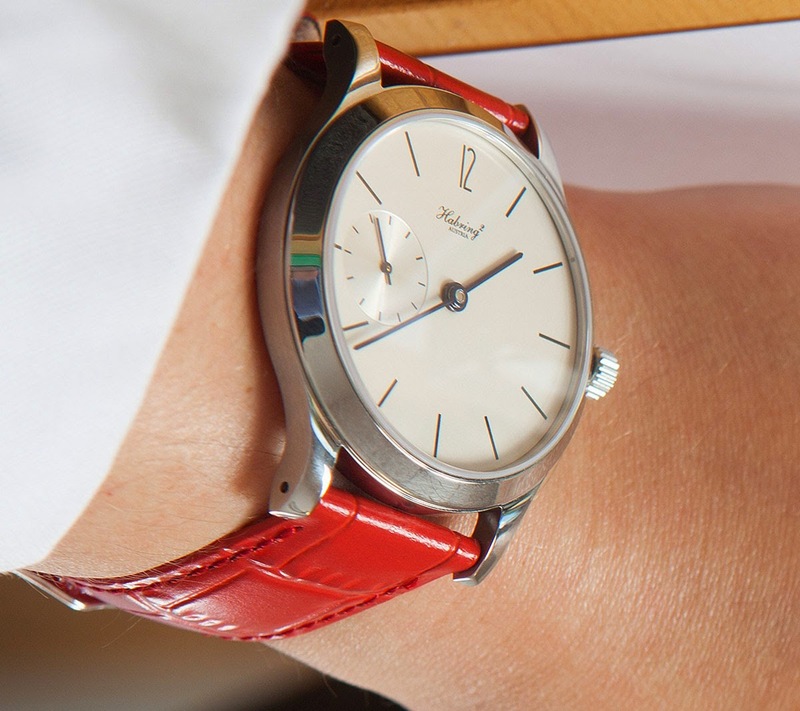 To celebrate 10 years of activity they are presenting Felix, an anniversary model which is also powered by the hand-wound A11 (A for Austria and 11 for 2011 when development started), the first movement developed completely in Austria, where it is also largely manufactured and assembled. While the production of all components in small series might bring some price rise to Habring² watches, their price performance remains outstanding. 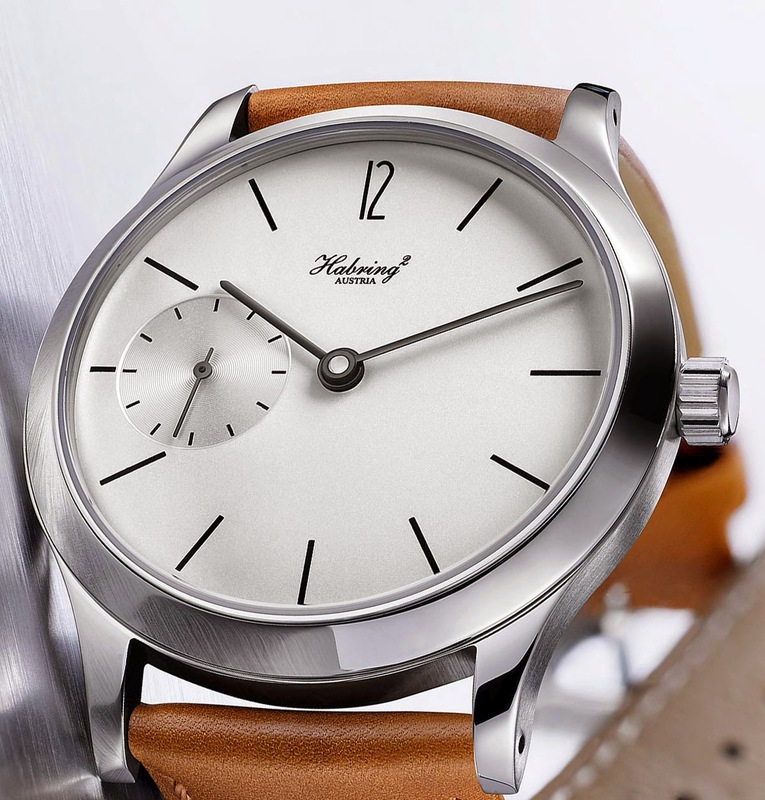 The Habring² Felix has a retail price of Euro 4,450.